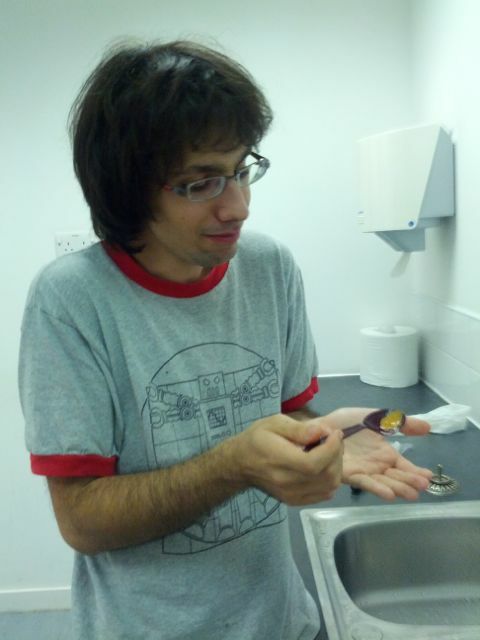 It didn’t taste good. 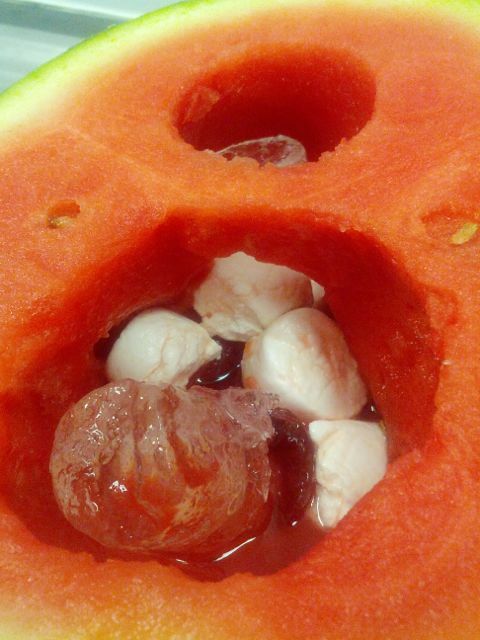 Our experience was that marshmallows and watermelons do not go together. Neither does peanut butter. We ended up eating the ingredients separately. But maybe we did it wrong. 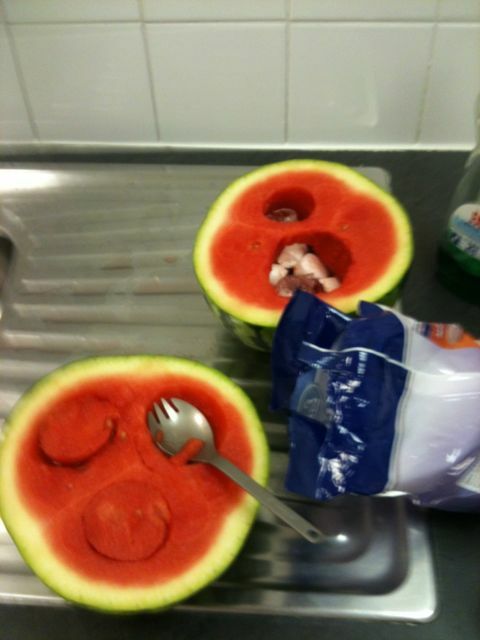 For example, we cut the watermelon the wrong way. Also, we made only 2/3 holes; Mr Willett made 4 holes. 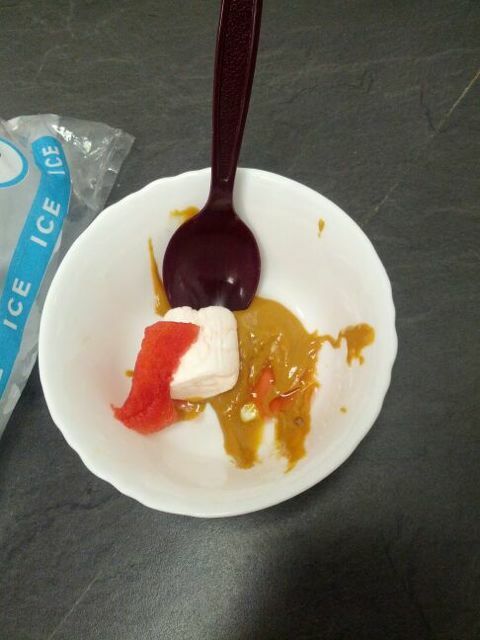 Perhaps we used the wrong kind of watermelon / marshmallow / peanut-butter. P.S. This is what happens when you have PhD students working 10-12 hours a day in the summer. Previous Previous post: UK Space Design Competition 2013 Now Open!